I've got something simple yet beautiful for you today. 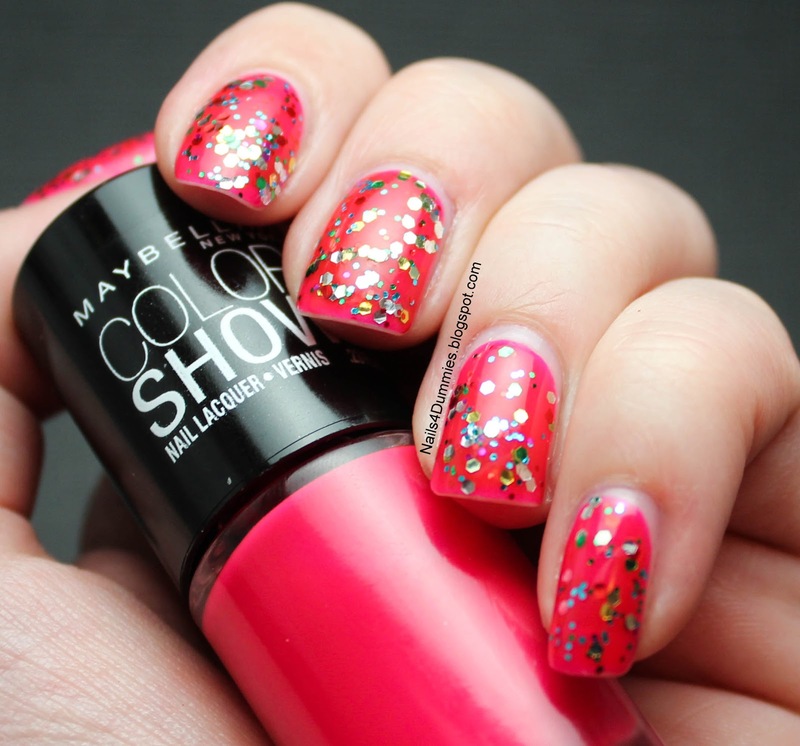 This gorgeous pink jelly is Pink Shock from Maybelline Color Show. I really loved this polish, it is so vibrant and squishy! 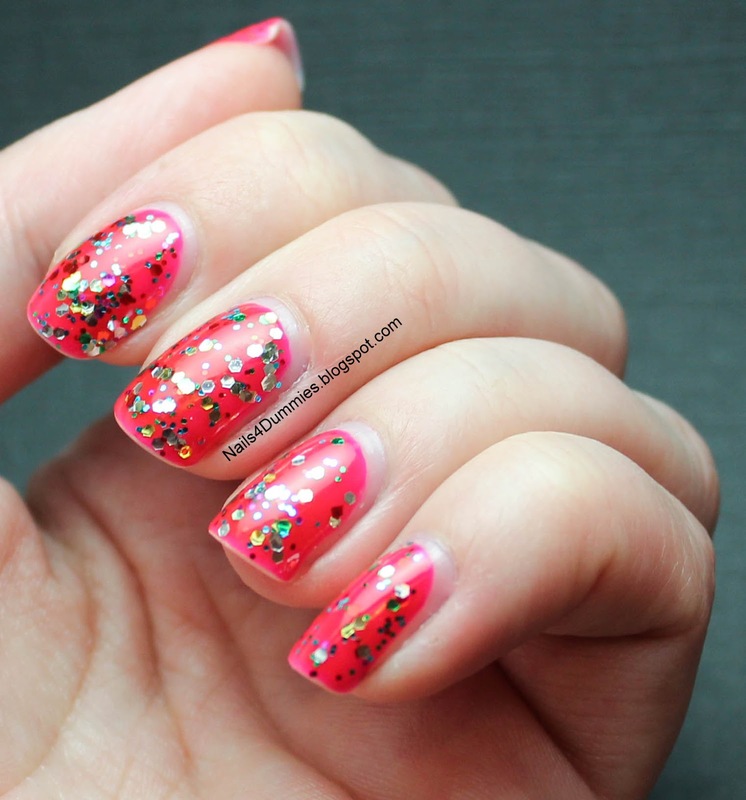 But I couldn't leave it all alone so I gave it a friend and topped it with one coat of Jordana Gemstones. 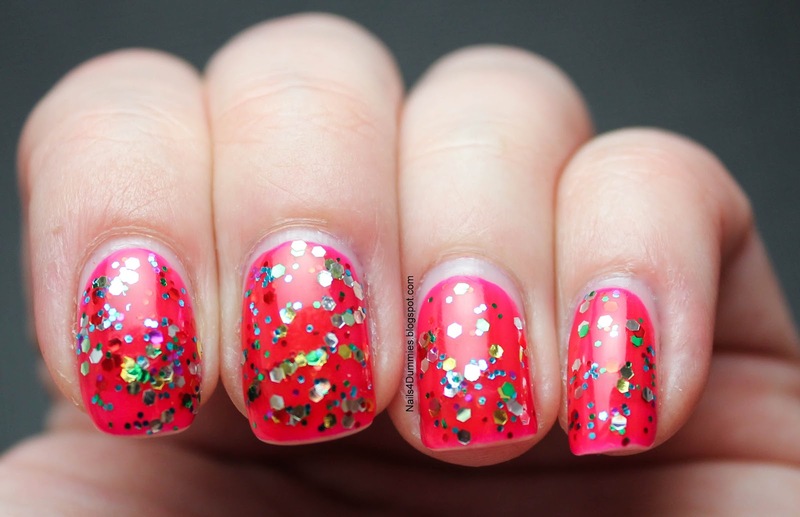 This glitter is gorgeous! What do you think? Pretty right? Happy humpday y'all!! that pink is so juicy! I know right? It's even better in person!! !